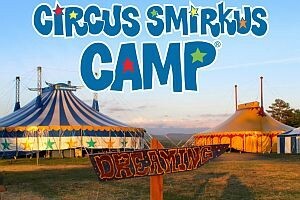 Thinking Inside the Box | Fit Families | Kids VT - small people, big ideas! The CrossFit Threshold Training Studio in South Burlington is typically filled with serious athletes lifting barbells, doing pull-ups, swinging kettlebells and generally exercising themselves to exhaustion. But on a recent Tuesday afternoon, the "box," as CrossFit facilities are called, hosts a group of giggling children — my 6-year-old daughter, Dillon, among them. It's day one of CrossFit Kids, an eight-week session specifically designed to teach younger participants the fundamentals of this intense and varied fitness program that has exploded in popularity since its invention in 2000. While the official age range of the program is 3 to 18, this South Burlington box is focusing on ages 6 to 12 for now and will be adding a CrossFit Teens program for adolescents looking to train for specific sports or fitness goals. As a fairly regular CrossFitter myself, I'm initially a bit nervous about putting Dillon through the rigors of such a hard-core exercise routine. But I soon discover that CrossFit Kids is a different animal — less guerrilla, more monkey. "CrossFit Kids follows the methodology of functional fitness, but it's fun and it's geared to the growth and development of children," says coach Meghan Barnes, who opened CrossFit TT with her husband, Tyler, last spring. With a 2-year-old son, they already knew a thing or two about pint-size people. And in addition to her adult-coaching credentials, Barnes holds a bachelor's degree in early-childhood education, practiced CrossFit every day of her pregnancy and underwent a weekend of formal training for CrossFit Kids. As a small group of moms and dads observe from the back, Barnes opens the 45-minute session for the younger set by teaching the half-dozen kids how to do a proper squat. "Imagine that your feet are superglued to the floor," explains Barnes. "Now put your hands out front, like a superhero." Her creative cues inspire a row of perfect squats — and smiles. 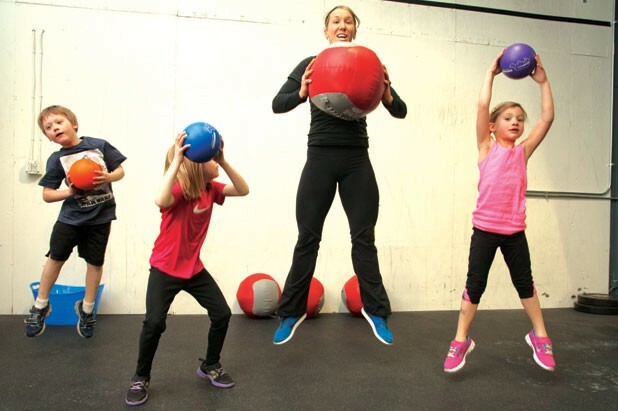 She leads the kids through other basic steps: jumping on boxes and stacked weight plates, sprinting between cones, jumping jacks and "burpees" — aka squat thrusts. Then it's time to thread the steps into an official workout, which, according to CrossFit culture, changes each time. In adult CrossFit, the exercises bring on guttural grunts and pained facial expressions. Here, everybody seems to be having a blast. There's no groaning and moaning — and, apparently, no sore muscles. In fact, the kids are even up for a relay race and a friendly round of dodgeball after the workout has ended. "It's not a competition," Barnes explains later. "They're all working together on learning how to move their bodies, have fun with it and be part of a group setting." Such fundamentals, she adds, are designed to empower growing kids — not only in the sports they play, but also in their daily activities, whether putting away a heavy toy or taking out an unwieldy bag of trash. You don't have to be a CrossFit parent to appreciate that. Where to go: CrossFit Threshold Training in South Burlington offers an eight-class punch card for $85 for members, and $99 for nonmembers. Visit crossfittt.com or call 448-3768 for more information. What you need: Comfortable gym clothes, such as shorts and a T-shirt, and sneakers.